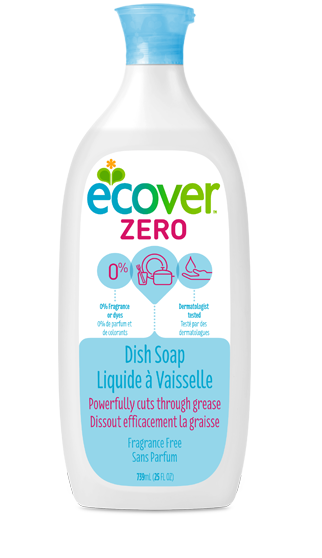 Packed with more cleaning power than ever before, our liquid dish soap cuts through grease for spot-free, sparkling clean dishes. Made with plant-based and mineral ingredients, our biodegradable formula is tough on stuck-on food, but gentle on your skin and the planet. All you need is just one squeeze for a sink full of dirty dishes. Water (aqua) Solvent DI water Water is an excellent solvent and helps all of the other ingredients do their job. Sodium lauryl sulfate Surfactant plant oils such as coconut oil Surfactants do most of the hard work to remove the dirt and grime from your clothes, dishes and surfaces. Lauryl/myristyl glucoside Surfactant Plant sugars & oils such as coconut oil Surfactants do most of the hard work to remove the dirt and grime from your clothes, dishes and surfaces. Ethanol Degreasing solvent, drying, stability improving Fermented plant sugars Allows the solution to pull grease and stains off of the surface. Sodium chloride Viscosity regulator Mineral Sodium chloride is the scientific name for table salt. Salt regulates the thickness of the product and keeps the other ingredients stable. Glycerin Humidity buffer, moisturizer, compatibilizer, mild solvent Vegetable oils A multifunctional ingredient that is derived from vegetable oils. Sodium citrate Water softener Made from plant sugars This softens water by binding with minerals and allowing the active ingredients to do their job. Citric acid Complexing agent Fermented plant sugars Used to adjust the pH and is completely biodegradable. T-butyl alcohol Solvent, viscosity control	 Fermented plant sugars Works as a solvent and helps make the product thin enough to be pourable or able to be sprayed. what do you think about ZERO Dish Soap? psst...if you have a question or product suggestion, talk to us on facebook or email us at info.us@ecover.com.